The residents at The Watermark at Trinity have selected Michelina to be our Watermark for Kids nominee. Michelina is 11 years old and has been volunteering with her mom, Lisa, for the past year. She has done various things from reading to residents, painting their nails, helping at parties, and even helping her mom host exercise classes! The residents enjoy visiting with Michelina and getting big hugs from her too! This year, it was an easy decision to pick Michelina to be our Watermark for Kids nominee because she has done so much for this community. In addition to her dedication and compassion for our residents, Michelina has a secret mission. In 2014 Michelina was a patient at All Children’s Hospital over her birthday. The hospital gave her a present and she said she instantly felt better. This simple gesture sparked an amazing idea in Michelina. 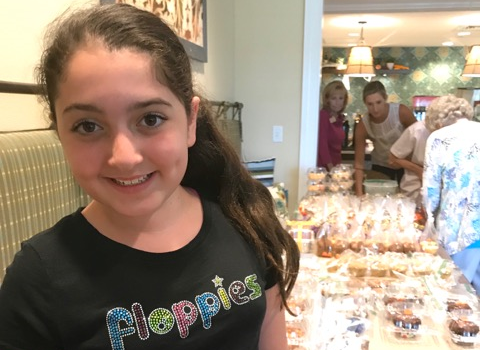 She created an organization called Floppies where she creates one-of-a-kind flip flops for children and adults. 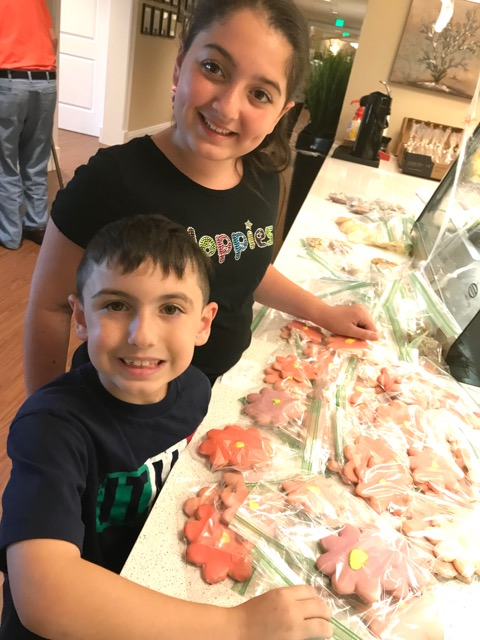 Last year, Michelina raised $1,000 and spent all the money on toys for patients at All Children’s Hospital. This year Michelina wants to beat her goal and The Watermark at Trinity wants to help her succeed! 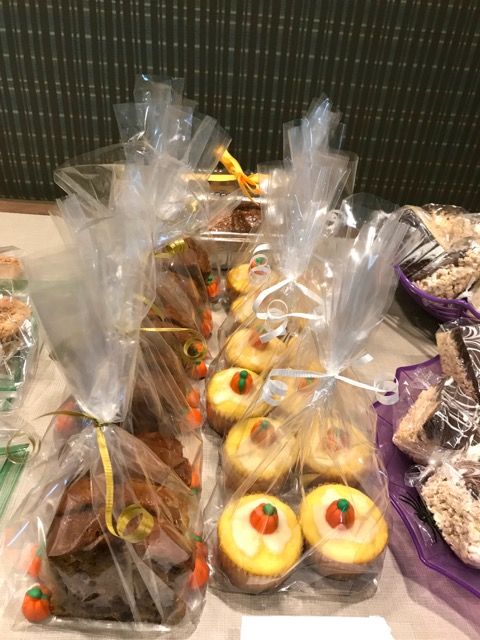 The first fundraiser for Michelina was a Bake Sale which was organized and hosted by residents at The Watermark at Trinity. 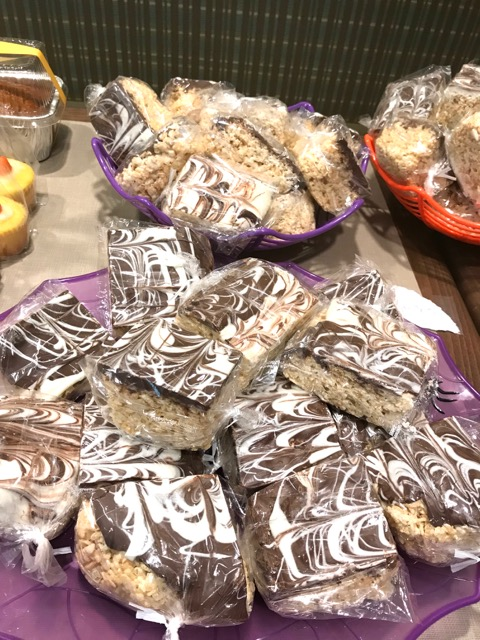 Residents, team members, directors, and even family members brought in a variety of baked goods. The community is thrilled to announce we raised $213.00! A big thank you to everyone that took the time to make all of the wonderful treats. Everything was delicious and we couldn’t have done it without everyone’s help! The community has also planned two more fundraisers to help Michelina reach her goal. There is a 50/50 Raffle in November and a Toy Drive in December. The Watermark at Trinity is so thankful for all of the support and we wish Michelina the very best!